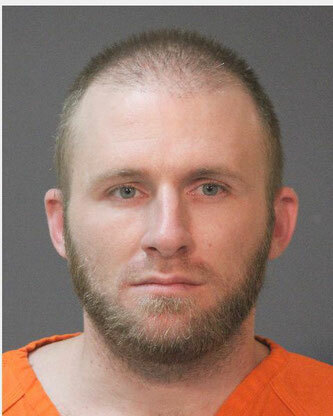 On November 14 at approximately 2:00 p.m., deputies with the Calcasieu Parish Sheriff’s Office received a call regarding a man, later identified as Justin D. Benoit, 32, 2440 Birdnest Cemetery Rd., Lake Charles, who arrived at a residence of a female acquaintance in Westlake in a stolen car and refused to leave. When deputies arrived, Benoit fled the home on foot into a nearby wooded area. During the investigation it was learned Benoit had forced his way into the residence against the homeowner’s will and sexually battered her. CPSO Enforcement Division, ACT Team, K-9 Division, Detective Division; and Lake Charles City Police SWAT Team were deployed to the wooded area. Benoit was surrounded, and several hours later surrendered without additional incident. Benoit was arrested and booked into the Calcasieu Correctional Center and charged with Sexual Battery; Unauthorized Entry of an Inhabited Dwelling; Possession of Stolen Things from $25,000 or more; and Resisting an Officer. He was also arrested on several warrants which included charges of Accessory after the Fact, First Degree Murder (Jeff Davis Parish warrant); Possession of or Dealing in Firearms with Obliterated Numbers and Direct Contempt of Court. CPSO Detective Travis Mier is the lead investigator on this case.